Mac or PC? Chromebook or Netbook? Apple, Dell, Sony or Google? At Computer Answers, we have seen and repaired every kind of laptop computer made over the last sixteen years. We understand that your laptop is not just a peripheral tool, a supporting device for your business, work or pleasure. Since the leap forward in processor power and ultra-light materials made over the last decade, we know that little exaggeration that slim laptop is both your portable office and your entertainment center all in one case you carry over your shoulder. And now, it’s not working. Select the option below that’s best for you and let’s get you back to normal. Why Choose Us For Your Laptop Repair? Laptops are not made so that their owners can service them on their own. In fact, if you try to do that, you may well void the warranty and create an even larger problem. 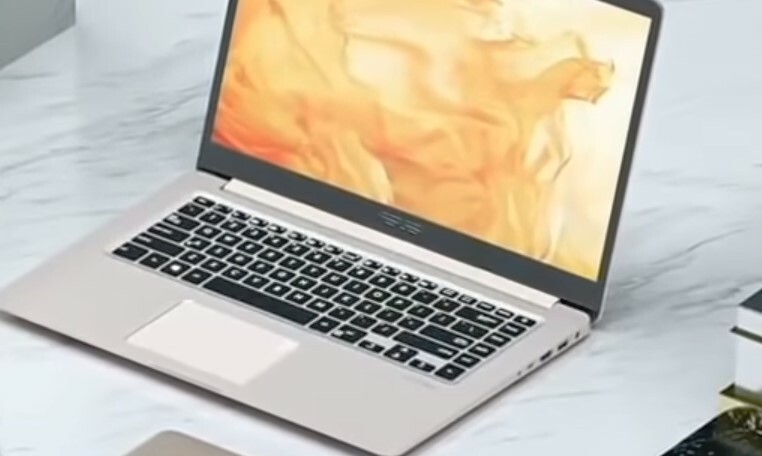 What you need to do as soon as your laptop’s performance starts to lag is to call in a professional who knows your computer and can fix it at the lowest cost possible. Every laptop is slightly different from any other. For instance, a MacBook Air has no DVD drive. A Chromebook has only a rudimentary hard drive for its operating system. Yet, there are general categories of problems we have seen at Computer Answers over the years and we list six of those at the bottom of this page. If you do not see your issue listed, that only means that your laptop’s breakdown is slightly unusual, but it is not unique. A Computer Answers technician has seen it before and successfully repaired it before. Our advice? At the first sign of trouble, walk in with your laptop to one of our five locations in the Albany/Schenectady area or in Brooklyn. If that is not convenient for you, call us Toll Free at 866-488-2806 or use our Contact Form. Tell us as much as you reasonably can about what the problems you have noticed with your laptop. We will arrange shipping for you, or even set a pick-up time. No matter what the circumstance, our Computer Answers technicians will get your iPad up and running again. Computer Answers specializes in Laptop Repairs for all of our commercial and residential clients. If your computer or laptop is not performing the way it used to, or if it’s not working at all, we are the company to serve you. All of our services come with FREE DIAGNOSTICS . When you drop your computer or laptop off at any of our branches, you can expect to have a diagnosis within a day, followed by completed repairs usually within 2 days. Our customers like that they know all repair costs up front, and can make a decision if the repair is worth the cost. Lastly, our main goal is to keep computer repair costs down for our customers. We are focused on volume, so saving you money is our primary objective. Feel free to call us or stop in for a free diagnostic. Is there something wrong with your desktop or laptop? Not a problem. Our PC and laptop repair service comes with FREE DIAGNOSTICS: this includes quick and effective troubleshooting of hardware and software problems of all kinds. Once we pinpoint the problem, we will call you with a free estimate on the repairs. After your approval on the costs, we will then implement the solution with your satisfaction in mind. If your computer is acting up, spouting out error codes, or shutting itself off, get on the phone and call us right away. Don’t chance data loss or cascading problems. Is your system too slow for the software you run? Are you running out of disk space? Do you need help installing a new video card or other hardware? If so, then it’s time to look into our hardware upgrade and installation services. We do everything from video card and cooling fan installation to motherboard and processor upgrades. Has your PC or laptop just stopped working entirely? We can show you upgrade options, or let you know that it is no longer worth the costs, and it’s time to get a new machine! We can help you determine if a new computer is the best option. If it is, our technicians will help you select the right components and build you a custom machine that fits your computing needs. The chances are that you will not know what is wrong with your laptop when you bring it in. Computer Answers won’t know either until we do a complete Diagnostic Analysis on your laptop. Our Diagnostic is quick, it’s thorough, and it’s free. Once we know what the problems are, then we can report to you what we have found and how we can fix it. If you are experiencing a slowdown in performance, perhaps frequent crashes, or you notice new and unusual programs in place, your laptop may have come under attack by a virus or spyware. Computer Answers will find these dangerous programs and eliminate them. We will also advise you how to best protect your laptop – and your privacy – from future attack. The sight of spinning wheels, wristwatches or an hourglass probably means that your laptop is feeling overwhelmed by the tasks it is being ordered to do. It is having a memory issue. Thankfully, this is easily solved at Computer Answers. Within minutes, we can upgrade or replace your RAM chips. Your laptop will not be back where it was, it will be better than when you bought it. The greatest enemy your laptop faces is not a virus, is not spyware, it is water. Even a slight spill can seep beneath keyboard and start eating away at your laptop’s connections, possibly destroying its logic board. An inexpensive problem can become very expensive. If your laptop gets wet, shut it down immediately, unplug it, remove the battery, then immediately call Computer Answers. Whether your laptop has a touch screen or a LCD display, its screen can become scratched, cracked or otherwise damaged. A broken display can be caused by exposure to intense heat, or the unfortunate accidents that occur with any frequently used device that can be carried around and dropped. At Computer Answers we have fixed or replaced hundreds of displays and we will do the same for you, quickly and at the lowest possible cost. Hardware can usually be repaired and always can be replaced. Information can be lost forever with disastrous results. If your laptop has been damaged beyond reasonable repair, Computer Answers will examine your hard drive – for free – and tell you our best estimate as to what percentage of the files can be recovered and at what cost. We can even move those files for you to a new external hard drive or to your new laptop.